Hey ho, HTC Desire got a rehash this year, and we managed to get some intimate time with the HTC Desire S. What does the S stand for, is anyone's guess, we'd go with "second", rather than Sense or Snapdragon, since we had those in the first Desire. 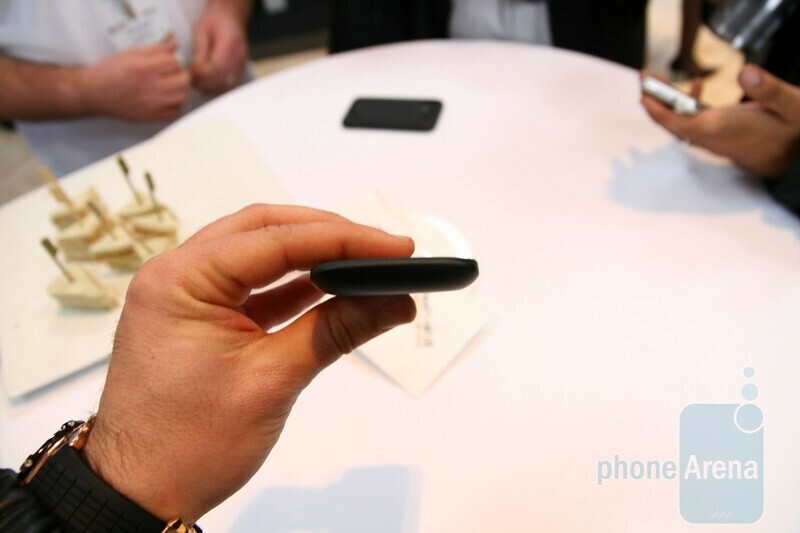 The handset fits very well in the hand and is fairly solid, although what we were handling was supposed to still be squeaking prototypes. The 3.7" display size is the perfect trade-off between enough screen real estate, and comfortable grip, according to us, and that's exactly what the HTC Desire S sports. Exhausted by the AMOLED supply shortages last year, this year HTC went straight with the Super LCD type of the same 480x800 pixels resolution. It is bright, and the colors are vivid, with decent viewing angles for an LCD display. HTC's build quality is legendary, and the recent switch to an aluminum unibody design enhances this impression - it is present on the HTC Desire S as well. 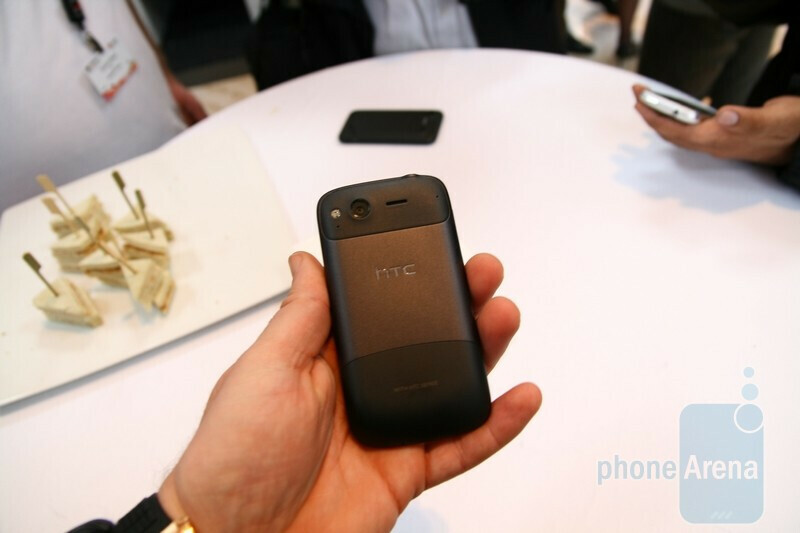 There is the soft-touch plastic on the back, separated by a metallic strip with the HTC logo on it. 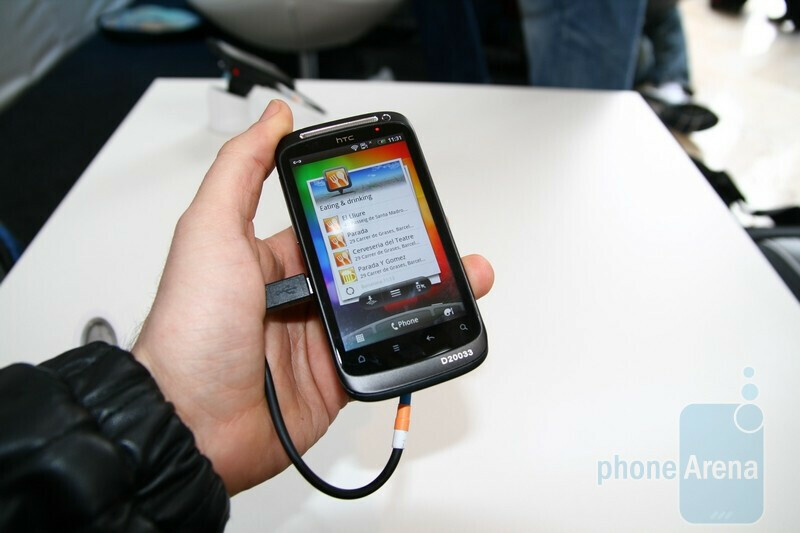 The chromed volume rocker on the left, and the power/lock button up top are easily clickable, and again remind us of the design efforts on the HTC Desire HD, for instance. 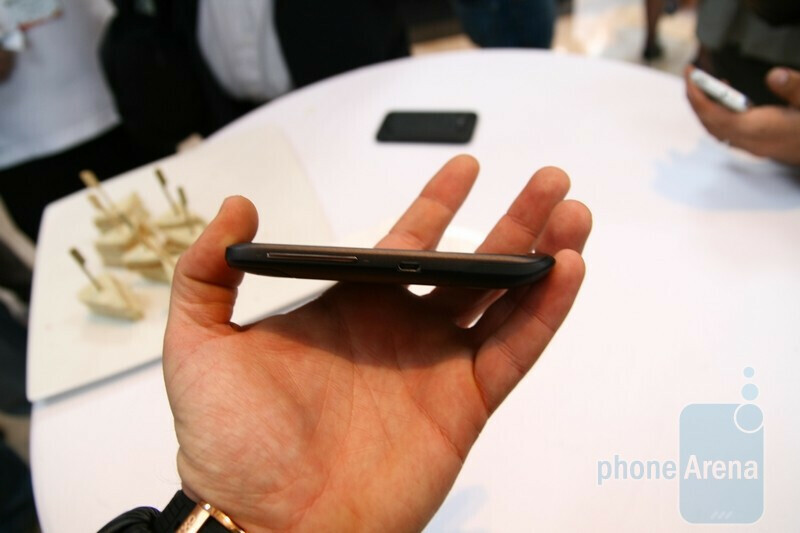 The phone keeps its 5MP camera on the back, which now does HD video recording out of the box, instead of waiting for an OS update, and is accompanied by a "power LED" flash, whatever that HTC claim means, we couldn't test it. 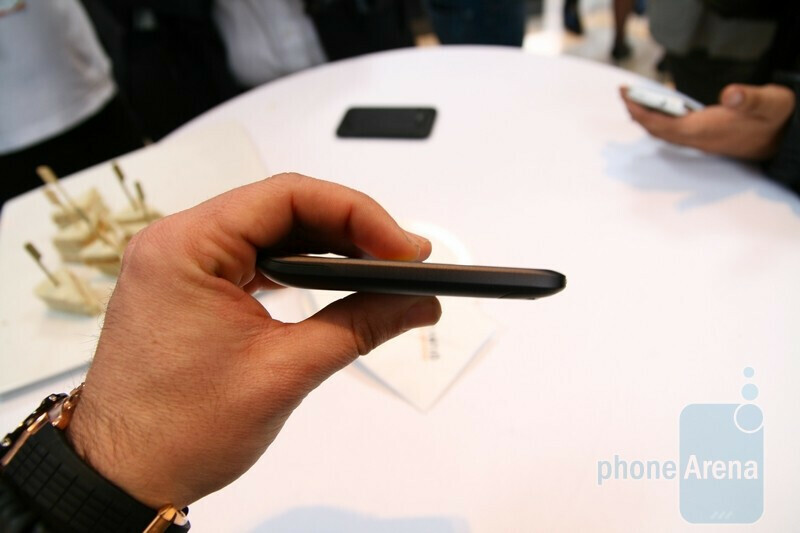 It has a larger sensor than in the desire, though, so low-light photos should come out better than before. 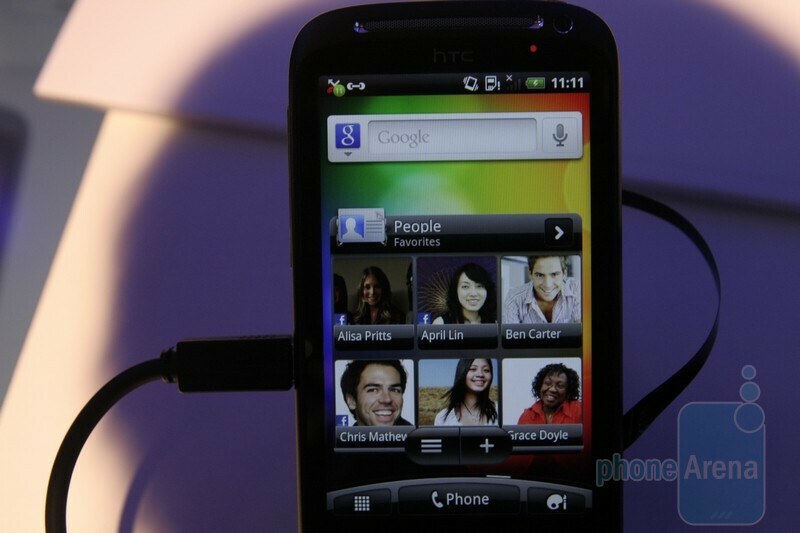 Unlike its predecessor, the HTC Desire S comes with a VGA front-facing camera for video chat. The aluminum shell is the main exterior change, but the internals are also swapped for a 1GHz second generation Snapdragon chipset, MSM8255, made with the 45nm technology (the original Desire had a first-gen chipset) with the Adreno 205 GPU, which is performing very well in all tests we have put it through, so your Desire S likely won't ever feel underpowered. 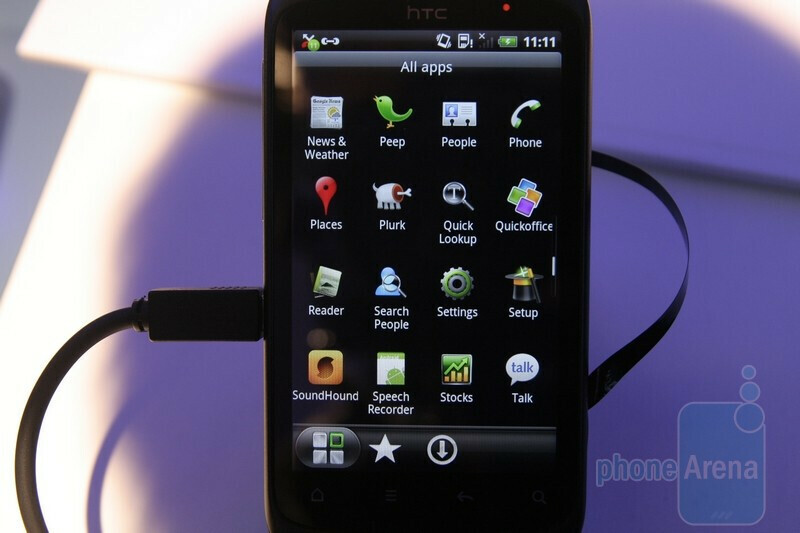 Moreover, the other spec bump is the addition of 256MB of RAM more, for a total of 768MB or RAM in the HTC Desire S.
The phone runs Android 2.3 Gingerbread, on top of which is placed the newest version of HTC Sense (reviewed here). It offers cloud services integration via HTCSense.com, and the Locations app, which allows you to download country maps for free full-featured offline navigation in what we last counted as more than 80 countries. Voice-guidance is also available for a modest amount, so you don't have to rely strictly on Google Maps, whose offline capabilities are very rudimentary in comparison. All in all, the HTC Desire S seems as a nice rehash over the original Desire, both externally, and from the chipset side of things, but we will reserve the performance judgment for the final unit, due to arrive in Q2. Good news. Thanks for the hands-on. When will you upload videos? There are 2 colors, right? (metallic and black?) Which one do we seeon the photos? 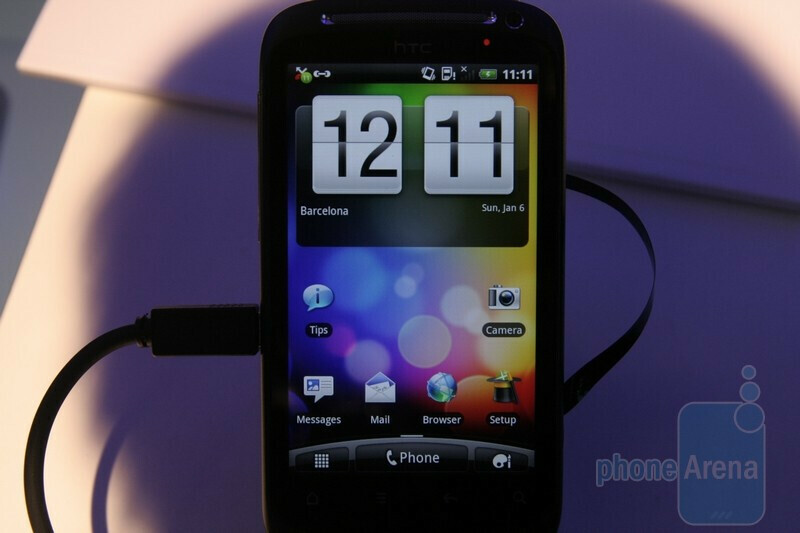 Why would I grab a new phone like the HTC Desire S when I already got the Desire? Both phones got about the same specs, they've failed to make me want a new phone. Sad. @rizzlan, ur right thats the fuc"ing strategy of those mobile phones companies,just to grabbbbb our money they keep on just adding one feature every time they come out with a new device..this time they put a small fu.................cking front facing camera. I'd go straight for the Desire HD and you'll be futureproof for a good few years. Much like the Original Desire still is.